May buy 1 for yourself and 2 additional as gifts. May use 1 per visit. Must use entire value in 1 visit. Must sign waiver. Must be 18 or older. Younger than 18 must be accompanied by a guardian. Expires 3 months after purchase. See the terms that apply to all deals. Each person will receive an unlimited all-day gun rental, one box of 9mm ammunition, two targets, and eye & ear protection. 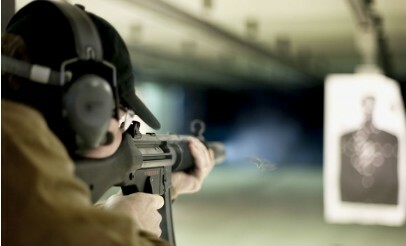 Good Guys Gun Range is all about going above and beyond what you expect. Their high-quality facility has 9 lanes; 8 standard and 1 VIP. The VIP lane is private, fully enclosed, and over 6 feet wide. It even has a separate glass door for complete privacy from the other shooters. Unlike other gun ranges where the adjacent shooters gun blast and shell ejects enter directly into your stall, the stalls at Good Guys Gun Range have extended side walls to keep you completely protected from all adjacent muzzle blasts. This provides you with the safest and most comfortable shooting experience. Monday - Sunday: 10:00 am - 7:00 pm.